The Conseal-A-Stat is designed for use in areas where you want to maintain a specific temperature without the risk of a wall mounted thermostat being tampered with, damaged or stolen. 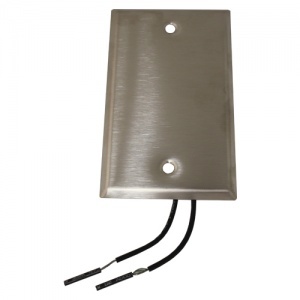 This concealed thermostat is designed to control unit heaters, cabinet heaters, in-wall heaters, fan coils or air conditioning units. Common applications include hospitals, locker rooms, entryways, warehouses and hallways.